Tax-free shopping in Delaware... plus a store closing sale. Pennsylvania shoppers-- it was a great time to be alive! Today at P's and Q's we're taking a look at one of the most standard and bland Pathmarks out there... 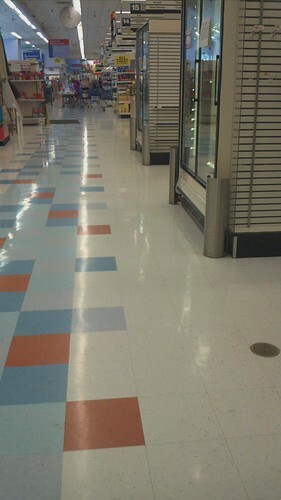 I could tell you that this was the Pathmark in Landing, New Jersey, and you would believe me. 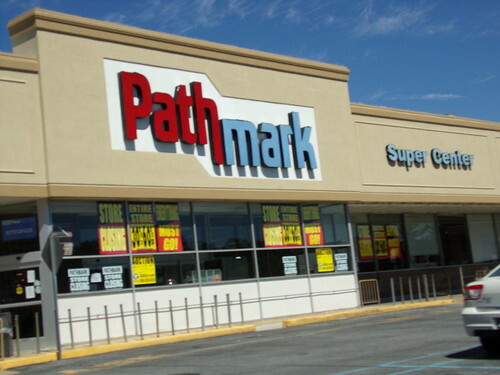 Pathmark did a big push on their "Path to Savings" decor in the wee hours of the 2000's. Who knew it would stay until the chain went under in 2015? 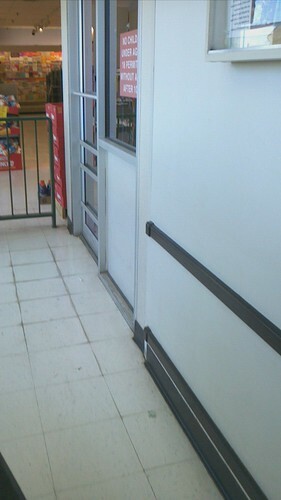 Vestibule with eroding tile greets you when entering the store... not a pretty sight. 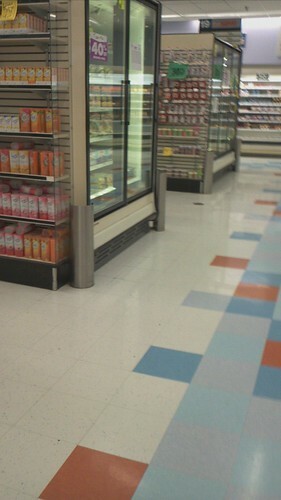 Old freezer cases line the store on the Red and Blue path to savings. 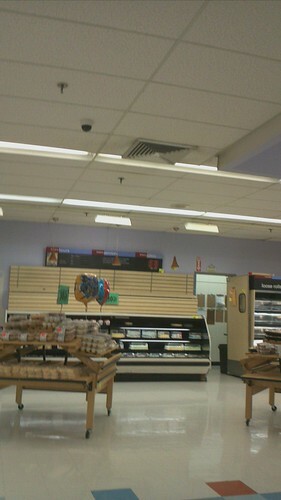 Bakery area looking very bland in the last few weeks... Obviously this Pathmark did not have a big push on the bakery unlike the "Go Fresh & Local" decor package. 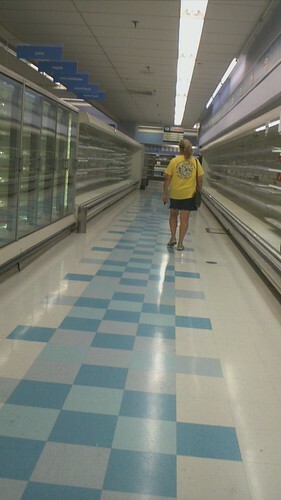 Dairy aisle winding down. 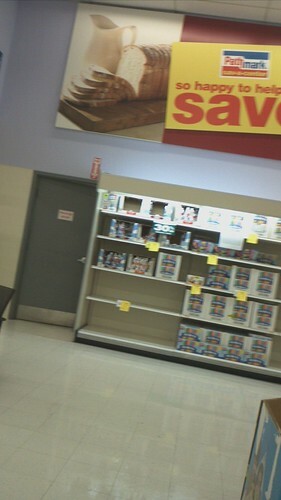 This store tops out at around 20 aisles. A shorter drop ceiling is showcased here in Dairy. Path to the front end... with no checkouts to spare. This store also had a pharmacy until the last day. 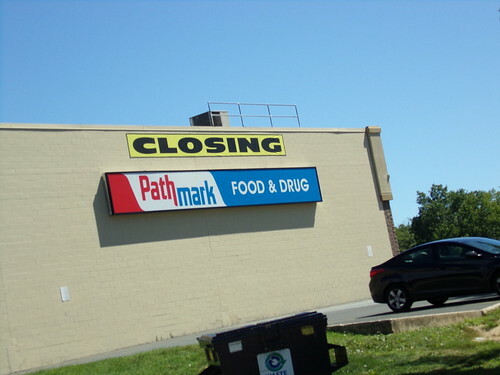 If you look closely enough, you can actually see the pharmacy alcove straight down the path!